Cheryl Daly of South Portland repeats as the women's winner as cool and rainy conditions add an extra challenge for the 344 competitors. 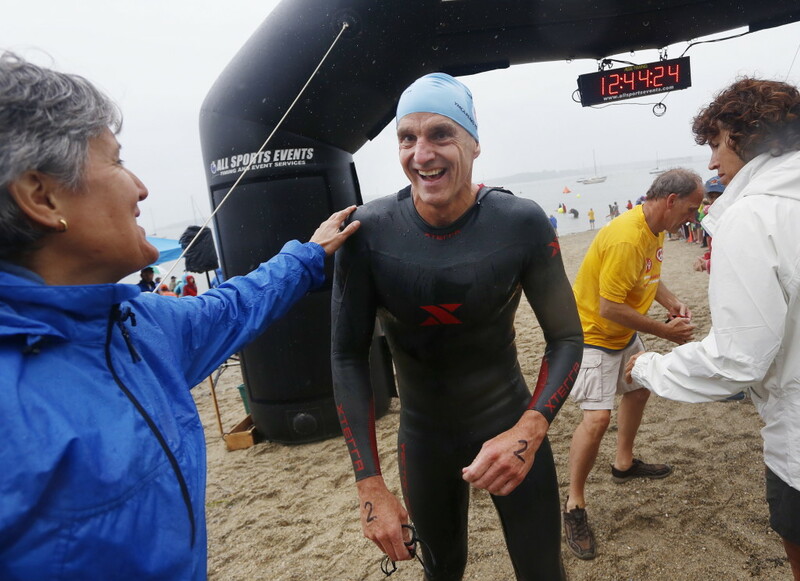 For the fifth straight year, Scott Yeomans is the fastest from island to mainland. 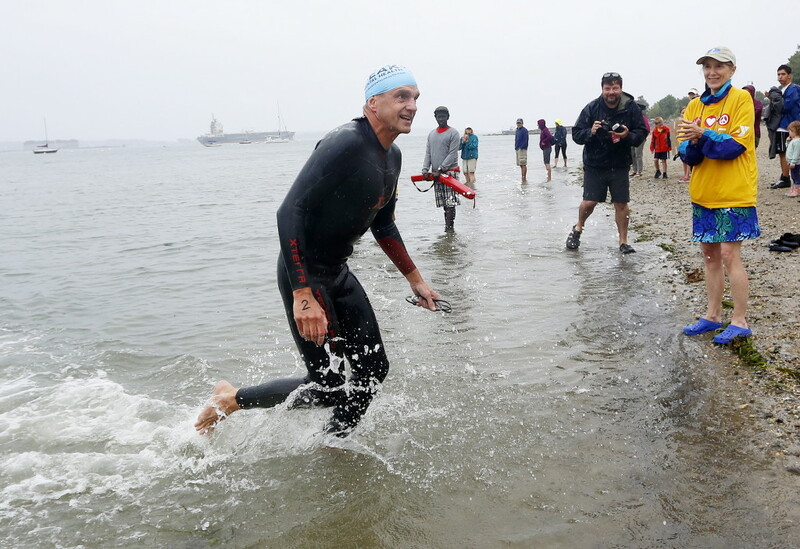 Yeomans, a 51-year-old from Bethlehem, Pennsylvania, finished first in the 34th annual YMCA Peaks to Portland swim on a cool and rainy Saturday morning. His time of 43 minutes, 48 seconds for 2.4 miles was a couple minutes off last year’s pace, but about 56 seconds faster than runner-up Matthew Hurley, 31, of South Portland. 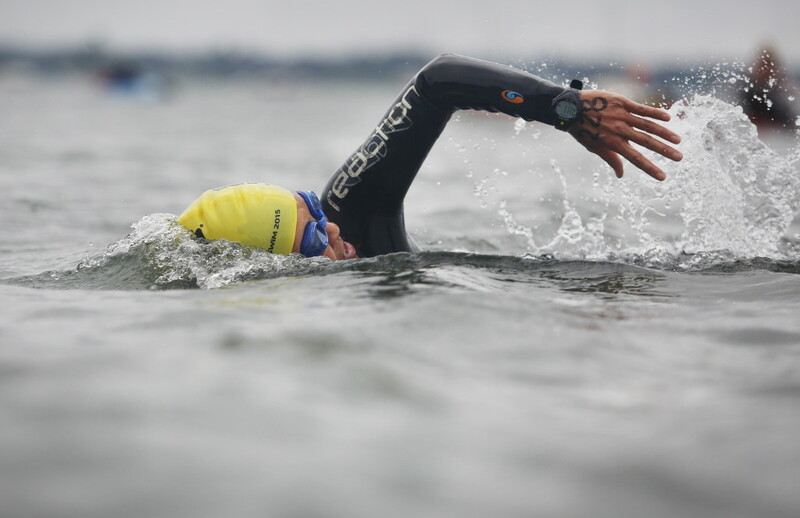 There were 344 finishers, and water conditions played a big role in the slower times. “It depends where in the tide cycle we are,” said Yeomans. “This year we were earlier in it so we didn’t have as much of a push. Last year was like the ultimate push. I don’t think it’s ever going to be as fast as that. Last year’s runner-up, Alex Mukai, 17, of Cape Elizabeth placed third. Mukai was four seconds behind Hurley. 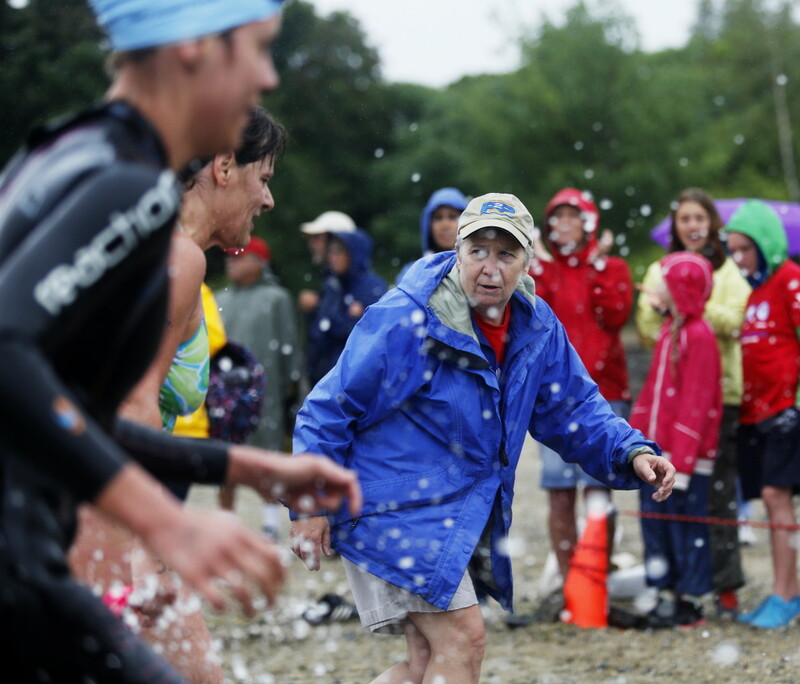 The swim starts at Peaks Island and goes across the shipping channel in Casco Bay to finish at East End Beach in Portland. It is open to competitors 16 and older who pass a qualifying standard of swimming a mile in 40 minutes or less. 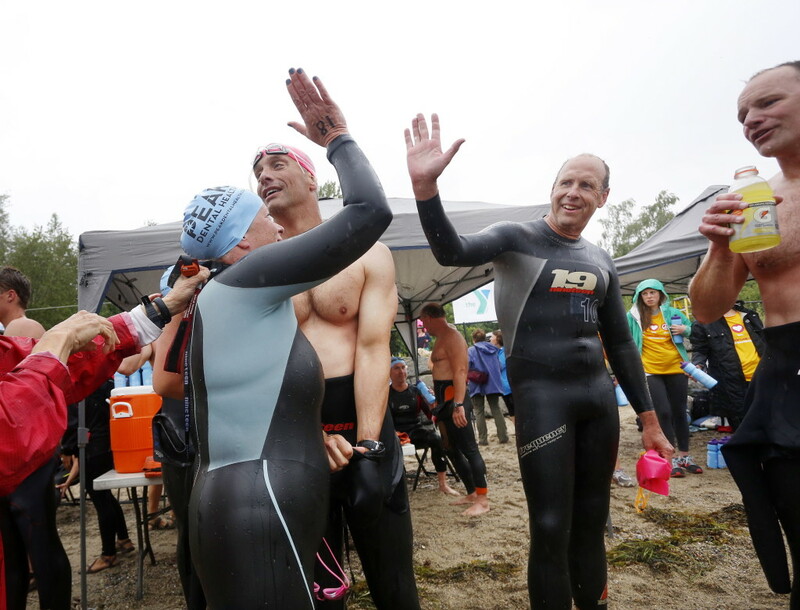 The event raises money for swimming and aquatics classes at YMCA facilities in Portland, Freeport, Biddeford and New Gloucester. Cheryl Daly, 43, of South Portland, was first among women for the second straight year and 24th overall with a time of 51:03. 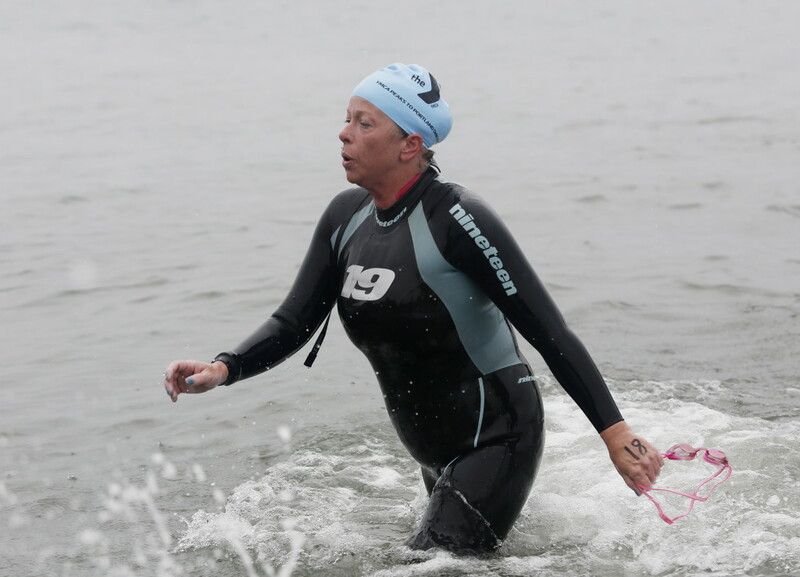 Runner-up Pamela Torrey, 54, of Portland, was 52 seconds back. Daly acknowledged that the water conditions weren’t ideal. “It was way choppier than it usually is, I drank a lot of water,” said Daly. “It was rough, but it was actually a lot of fun. Yeomans was paced by his cousin, Beth Ansheles of South Portland, in a purple kayak. “She knows it so well here. I trust her with everything. Wherever she goes, I’m following,” said Yeomans. “This is such a great cause. They’re making $75,000 today for the YMCA and that’s the big thing. This is fun exercise, but the amount of people they can help with scholarships with that $75,000 is incredible. 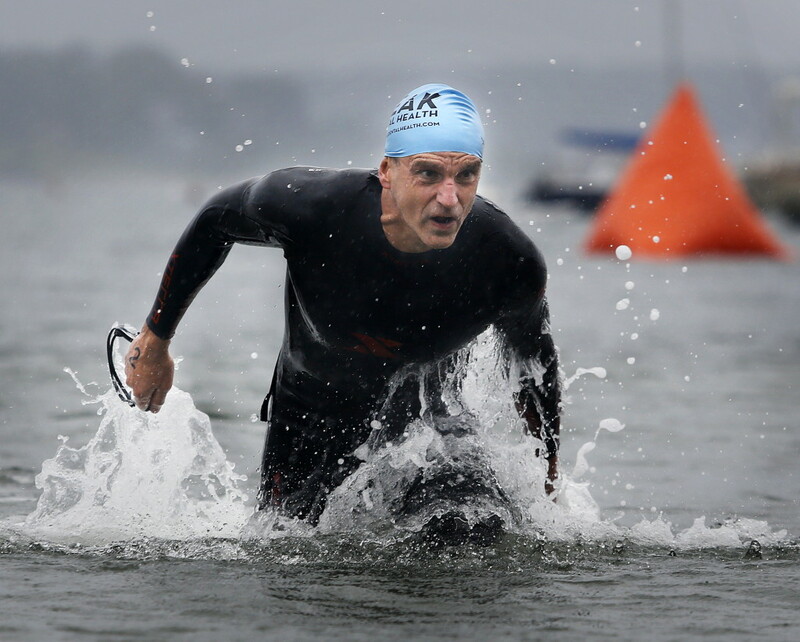 Yeomans said he will be competing in the U.S. Masters championships in three weeks in Geneva, Ohio. 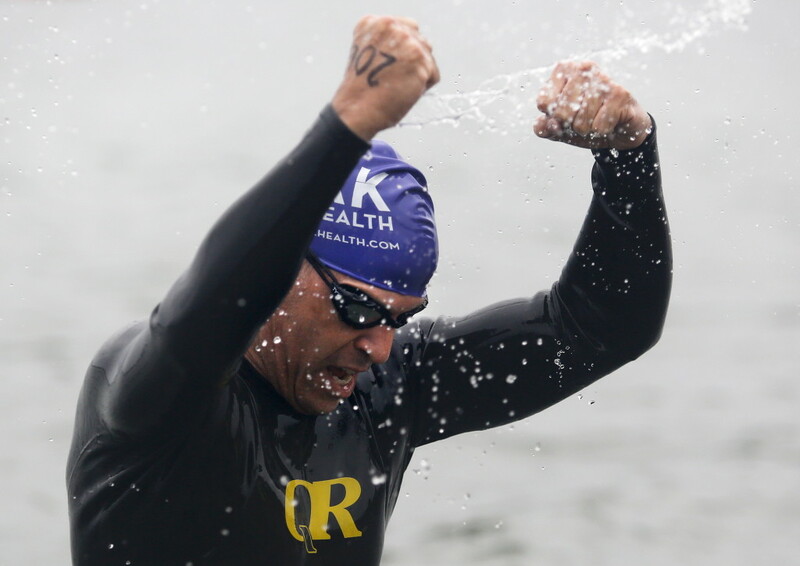 While not all competitors are at that level, there is still plenty of satisfaction in completing the race. 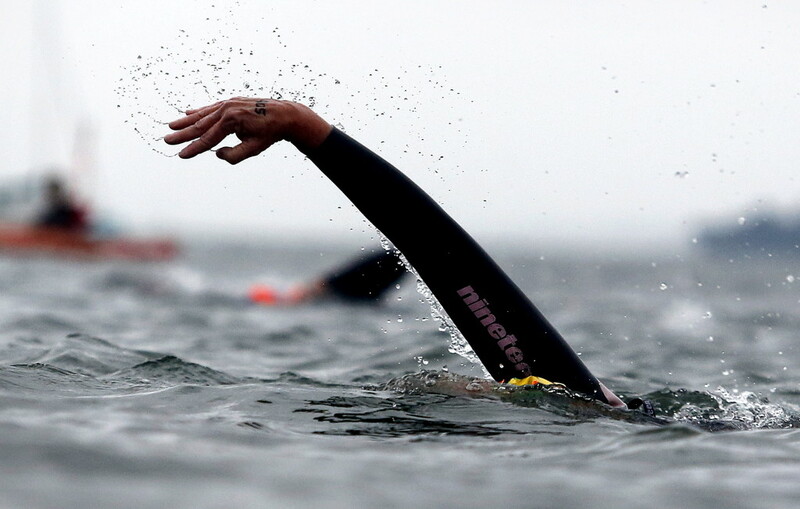 Take Ian McKay, 24, of South Portland, who was attempting to become the first person with autism to complete the Peaks to Portland swim. He finished in just under 96 minutes and was all smiles and laughs after. He also expressed a strong interest to return next year. Then there’s Luba Lowery, 27, of Winthrop, Massachusetts. Lowery was born in Russia but was adopted at age 4 and grew up in Cumberland. She had her right leg amputated at age 8 because of a congenital bone defect. 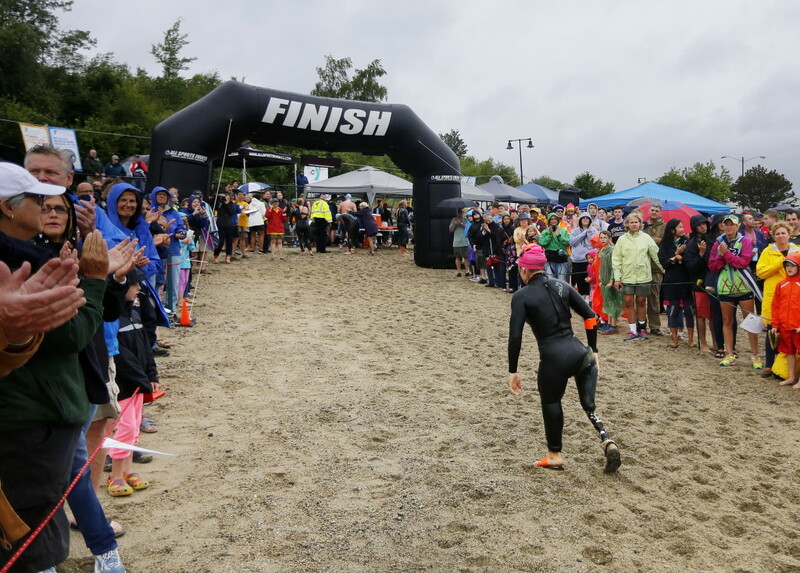 Now, with a prosthetic right leg, Lowery completed her first open-water swimming race with a time of 1:05:50 – 42nd among females and 118th overall. “I’ve been pretty active my entire life. I enjoy rock climbing, hiking, skiing, swimming, kayaking; a little bit of everything,” said Lowery. She’s also no stranger to competition. She represented the U.S. at the 2010 Paralympic Games in Vancouver, British Columbia, finished seventh in slalom and ninth in giant slalom.